I’m thankful I’m one of those fortunate students who were able to join a class field that paid a day trip to Coca-Cola plant in Ulas back in the 90s. I can still remember we’re told to walk in single file, keep our voices down and strictly warned not to wander around. Well, teens can be rowdy and loud you know, that’s why. As expected we’re all in awe and had fun seeing how our favourite canteen drink were made and how it came to be. Cases of Cola-Cola and lots of life experiences later, I made it inside the plant again. This time with media and blogger friends and came in a bit learned with living thus seeing things in a quiet grown and somewhat settled perspective. Coca-Cola FEMSA started bottling since the 50’s here in Davao City. Since then, this drink’s unique formulation has captured the liking of millions of consumers that through time, it has gravely been part of everyone’s significant life moments, shared memories and histories of every celebration of our culture and many our society’s milestones. Most of all, its opportunities have helped a lot of people change their lives for the better. In this blogpost, I’d like to bring you along as we follow the journey of a Coca-Cola FEMSA Bottle. Just like any excursions, we started with an orientation. 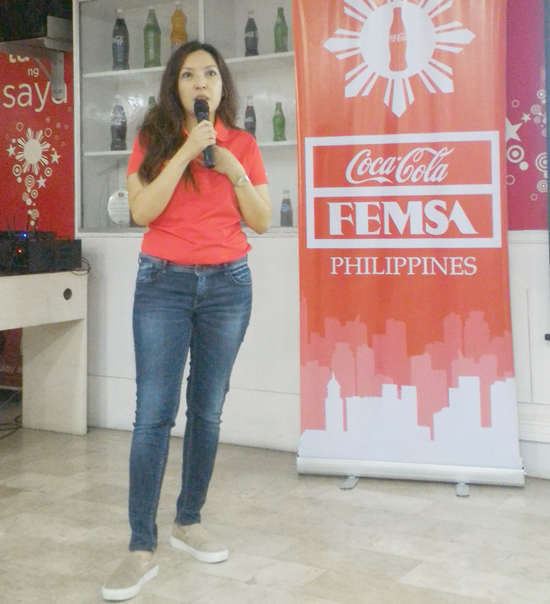 Cat Avelino, Coca-Cola FEMSA’s External Communications & CSR Manager briefed us about the company’s core values and how it has grown over the years. 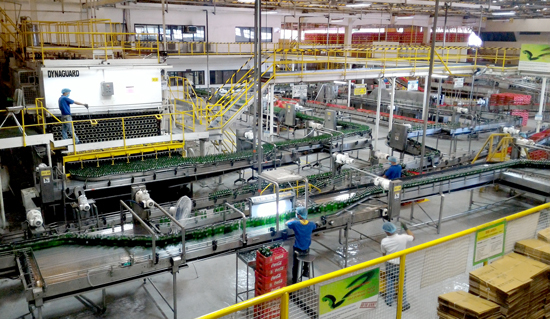 To date, Philippines ranked 10th among the largest Coca-Cola Bottlers in the world. 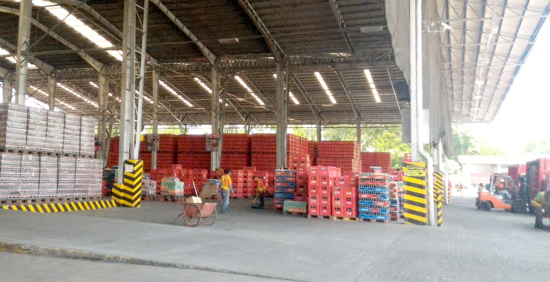 Davao Lines have the capability to produce about 1.1M gallons of beverage annually and is set to operate another beverage facility in Darong, Sta Cruz, Davao del Sur after it acquired a manufacturing plant from San Miguel Corporation. This operation is expected to employ around 350 associates. 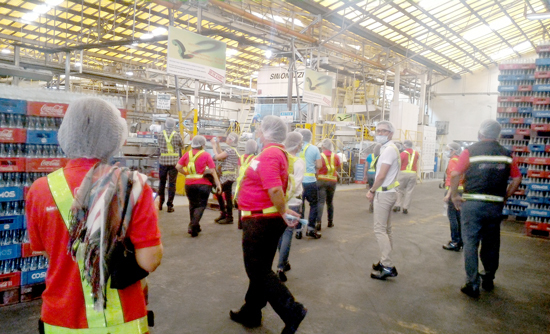 In the Philippines, Coca-Cola FEMSA offers 18 brands, all FDA-approved. This is in line with the company’s commitment to provide safe and high-quality products their consumers can trust. 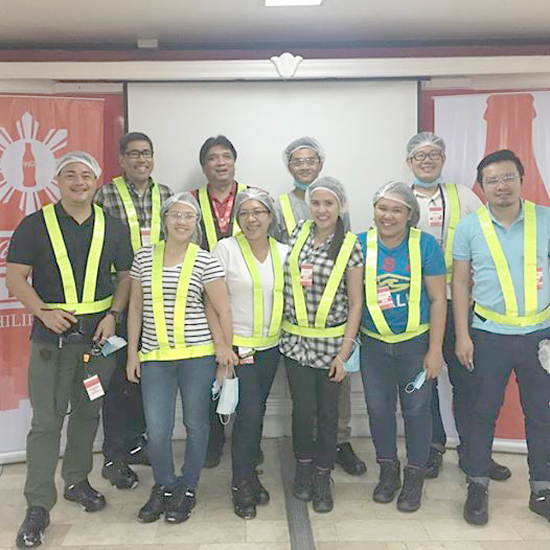 More than Coca-Cola FEMSA’s thrust in making quality beverages is the company’s drive to bring about happiness in every Filipino soul that the company has worked with. Coca-Cola FEMSA’s social responsibility extends across education, economics, environment, labor, values, health and above all, family. Come on, woman! Keep up! 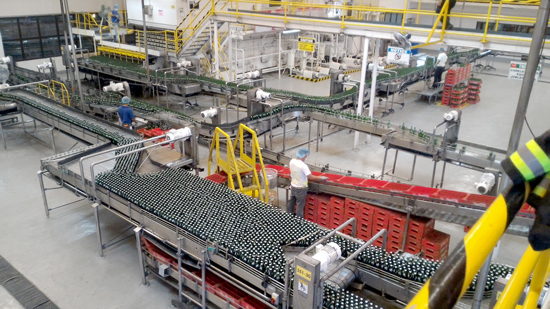 Sorting empty bottles to be washed, sanitized, filled and capped. 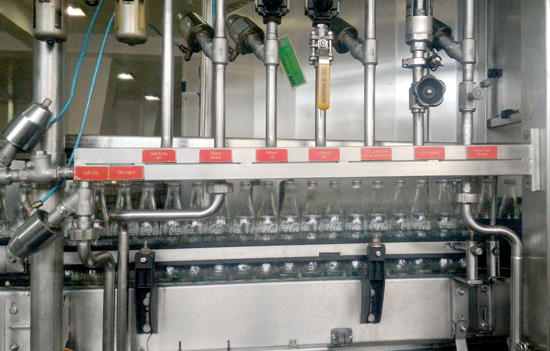 Each bottle is inspected using state-of-the-art equipment under strictest quality control measures. There are people who work hard to bring you your favourite soda. When realization hits you hard: As a consumer, I often take for granted all these bottles after drinking. Heck, I do it all the time and now I’m feeling guilty. 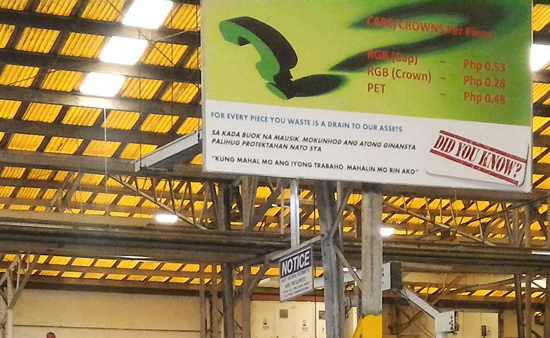 Yeah, now I’ve grown respect for that lowly, empty bottles, crowns and caps after reading this. You better have the right level or you'll be picked out of the line. Freshly filled bottle of cold and refreshing Coca-Cola taken straight out of the filling machine! Awesome! A day at the plant. 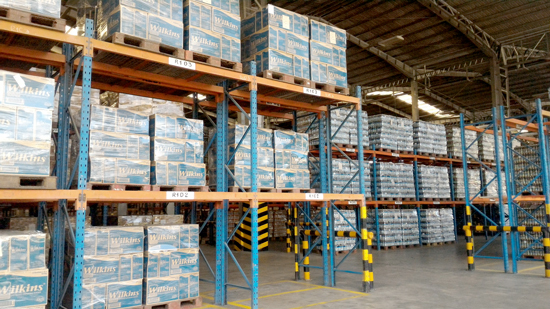 distribution warehouse for immediate dispatch. Watch how your Sprites are cased. They say, Coca-Cola sold only 25 bottles on its first year of operation. And now, look at that! SO NEVER GIVE UP! 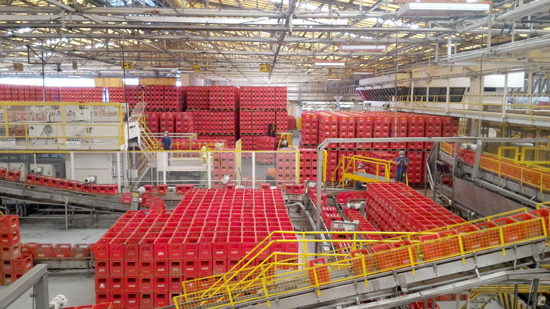 Ready to drink Coke in crates are then brought to the distribution center where they are tagged, processed and subsequently loaded to trucks for immediate delivery to retail establishments. Thank you, Sir Jojo for giving us a tour! 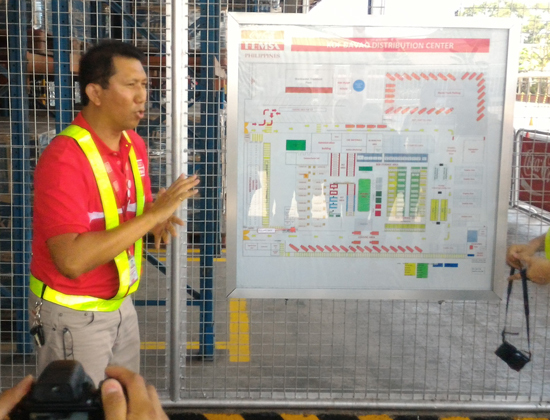 The Coca-Cola FEMSA Davao distribution center serve sari-sari and retail stores as far as Surigao and GenSan. 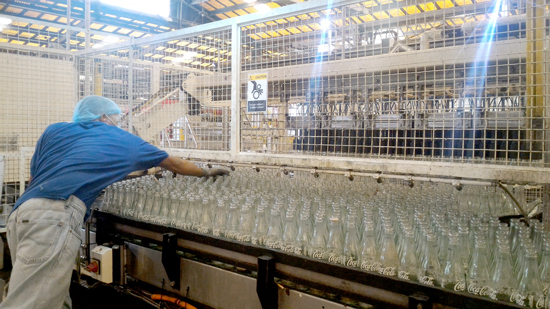 Wilkins Bottled Water is also one of the quality products of Coca-Cola FEMSA. 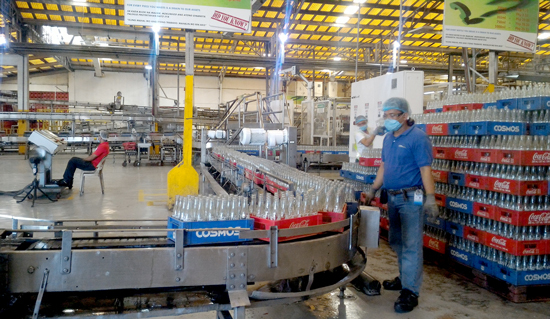 These bottles are shipped all the way from Laguna along with canned and PET bottled Coca-Cola. Majority of the establishments supported by Coca-Cola FEMSA are the small and traditional food outlets we usually called ‘carenderia’ and ‘sari-sari’ stores. In this excursion, we travelled down south to see where exactly a bottle of Coca-Cola ends after its loaded out of the distribution center. 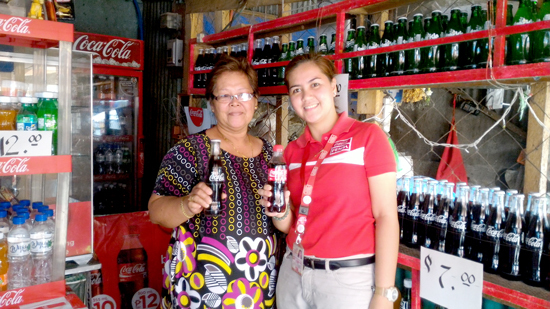 We were brought by the Coca-Cola team to Nanay Luz Mariscal in Toril Public Market. Nanay Luz, 60, started her small eatery 15 years ago. 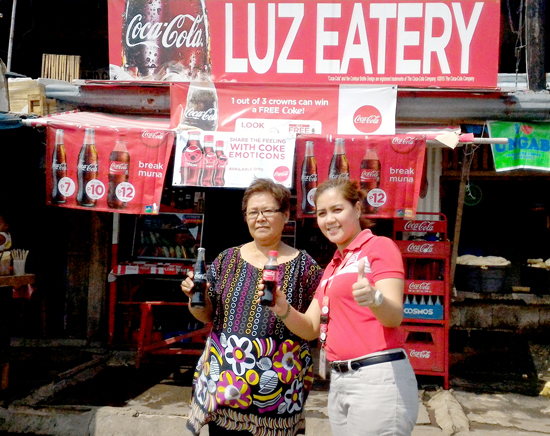 Through careful management of her daily income she was able to expand her business by offering more ‘ulam’ varieties that goes well paired with Coca-Cola. Eventually, she expanded again to having a rice stall and other sari-sari store stuff. Her efforts paid well and that her income from the eatery allowed her to send and let her nieces and nephews finish school. Today, Nanay Luz Mariscal’s small eatery is thriving. She sells exclusive Coca-Cola FEMSA products. 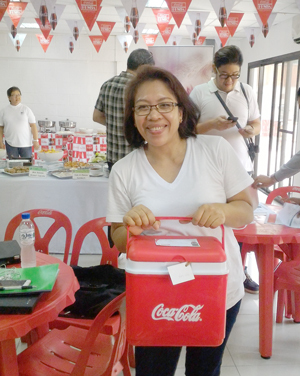 And as a valued retailer, Coca-Cola supports Nanay Luz by providing her with various collaterals like chiller, posters, tables and other marketing materials in order to help her grow her business better. 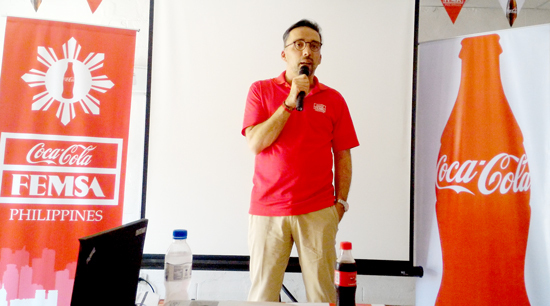 In a brief meeting with Juan Dominguez, Coca-Cola FEMSA’s Corporate Affairs Director Asia Division, he pointed out that “It is seeing success stories such as these that push us to keep improving every day”. 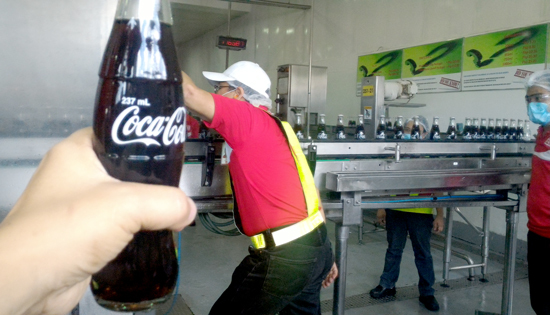 More than its secret formula and world-class quality beverages, Coca-Cola FEMSA is made up of so much more. It’s made out of love and happiness by 10,000 people in 19 plants and close to 60 sales offices across the Philippines. 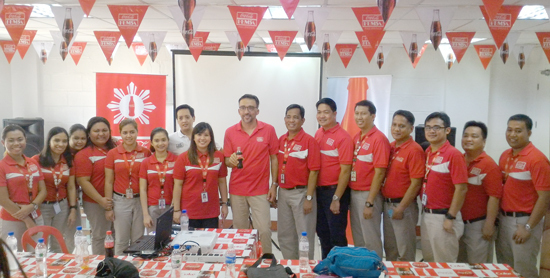 Juan Dominguez, Coca-Cola FEMSA’s Corporate Affairs Director Asia Division (middle) Jay Justiniano, Commercial Unit Associate Director for Mindanao (in white) and the hardworking people behind your favourite drink. Thanks a lot Coca-Cola FEMSA Davao for inviting us! Indeed, things go better with Coke!